In popular media, crossovers happen all the time. 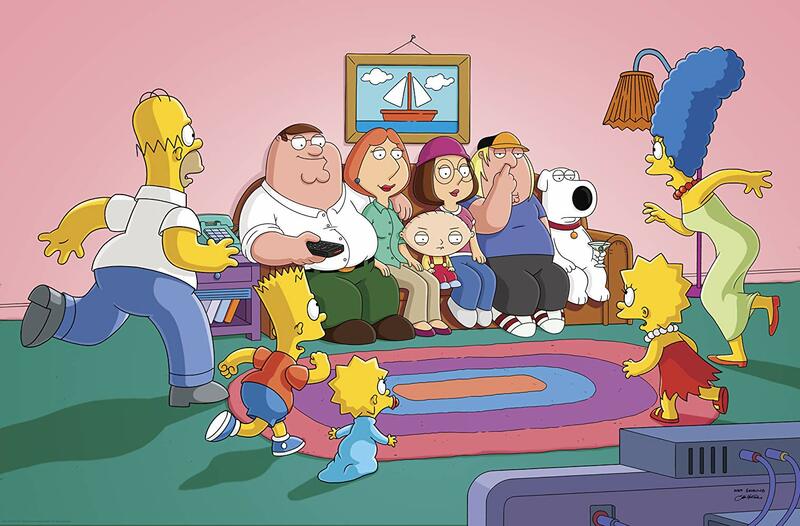 The Simpsons had a crossover with Family Guy. Fairly Odd Parents had a crossover with Jimmy Neutron. 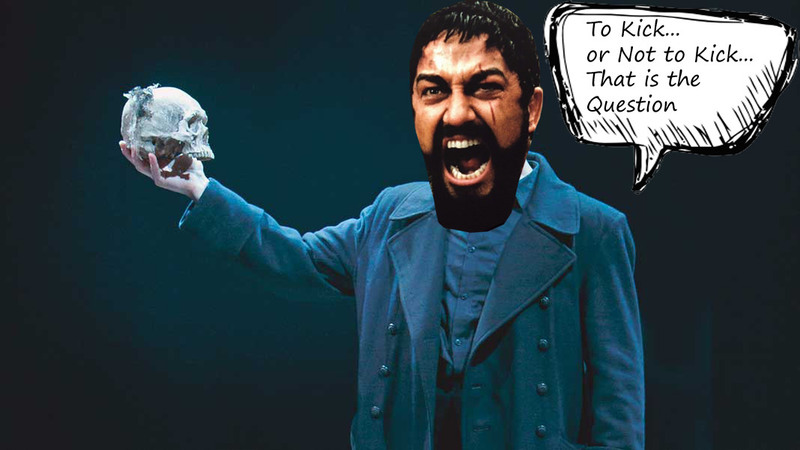 However, in the world of video games the concept of having crossovers is hit or miss. With some video games having guest characters being unlock able, and other games featuring characters as cameos, it is very rare to see a video game franchise pull off a successful crossover. This morning Nintendo held another online reveal to one of its flagship titles “Super Smash Brothers Ultimate” in the form of a 40-minute web trailer. Nintendo’s ability to connect to its audience via “Smash Direct” has been notoriously famous for new characters being revealed, generating hype around who’s going to be next to join the fighting games roster. If we take a step back and examine the titles in the past that have tried to make a collaborate effort, there are only a few that stand out. The “Marvel Vs. Capcom” series was probably one of the biggest crossovers of all time in the fighting game community. 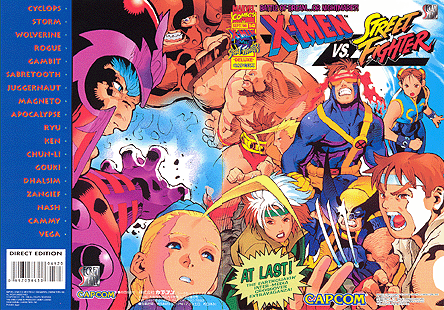 The origins of Capcom’s versus collaborations date back to 1996 with “X-Men vs. Street Fighter”. With a simple roster of just 17 playable characters featuring the core super heroes from X-men and the core group of Street Fighter, the game found its success by appealing to such a broad audience. Moving forward, Capcom rode its momentum publishing the “Marvel vs. Capcom” series which dominated the arcade scene in the early 2000’s. The game eventually reached a level of interest that planted its roots in the Fighting Game Community for the next few years. However, Capcom has also released one of the biggest collaboration projects when it released “Street Fighter cross Tekken” in 2012. This crossover was a huge deal for fighting game fans. The hype brought so many people to Comic Con 2010 when it initially made its announcement. As time went on, many fans began to point out the flaws the game had; an auto-blocking feature, no unique character combos, and On-Disc DLC. The community was outraged to find out that unlock able characters were already on disc data, and the fact that they had to pay to unlock this content eventually brought an end to the overall interest of the game. I guess when it comes to fighting games, you live and die by the fans. Fast forwarding into today’s modern times, Nintendo brings a refreshing take on the crossovers in their fighting game, Super Smash Brothers Ultimate. Today’s characters reveal brought the hype. 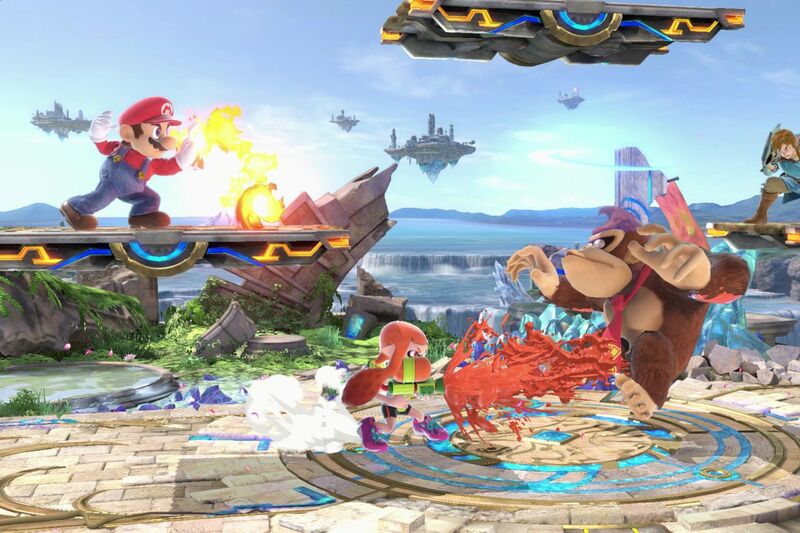 The 40-minute presentation showcased its newest batch of characters; Ken from Street Fighter, and Incineroar from Pokemon, as well as the Piranha Plant from Super Mario. Yes, the plant from that lives in pipes from the Super Mario franchise is a playable character in this game. Time and time again, we are witnessing Nintendo showcasing their ability to generate hype to a very broad and diverse audience. There is something that everyone can enjoy in this upcoming release of Super Smash Brothers Ultimate. Whether you are a fan of the Street Fighter legacy, Metal Gear Solid, or even Pokemon. 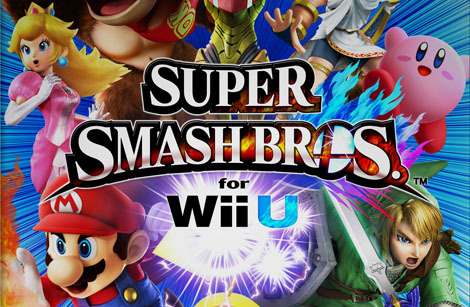 The Smash Brothers franchise is guaranteed to bring enjoyment to its fans. I am incredibly excited to see what direction this game goes. Its competitive scene has taken the fighting game community by storm, and I hope to be able to rekindle my passion for competitive play with this game. Now some of you may be asking, “what’s with all of the 300 movie references Adonis?… You beautiful man you…” To that I say: First, the commonalities are many, and second… it’s nice to be called beautiful every once in a while (men need to feel pretty too). For the first time in a long while, I contemplated what gender to play as since I always play as male. I ended up choosing male anyway, but the fact that it arose in me that much deep/intellectual thought, still intrigues me. Now ask yourself, how does it feel to be on the wrong side of a flat-heeled sandal (being kicked off of a cliff)? If you are the remorse-kind, you just might save your arch supports for another day. One of the many new aspects introduced into the AC mix is the option of choice. Though the easiest option might be to kick a higher-leveled foe off of the nearest cliff, AC Odyssey introduces dialog options where diplomacy and choice comes into play. Some of these options can get pretty complex and effect future game results. 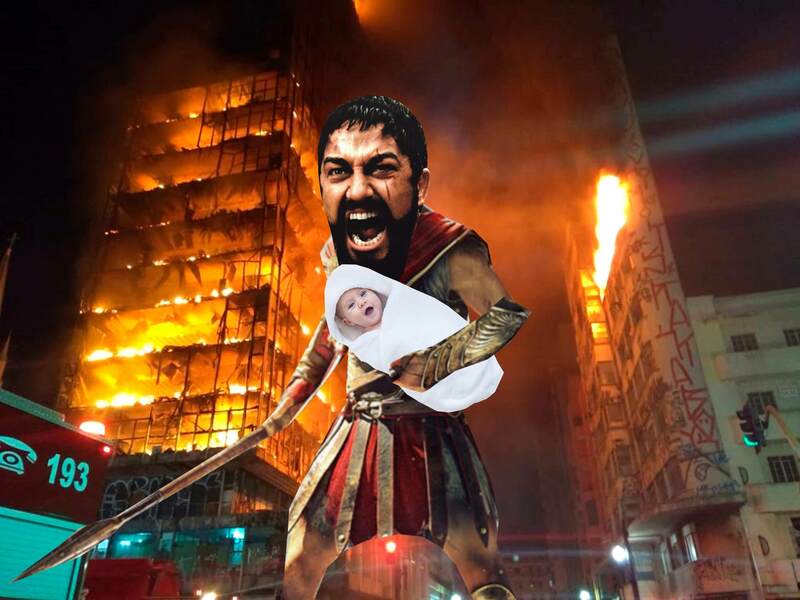 For instance, one of the hardest choices I had was to either catch a baby murder who was going to escape or save a baby from a burning building… (Look below to see the end result). humanizes and brings importance to, what could’ve been, mundane enemies. It’s nice to know that the people you are kicking off cliffs will have a digital family that will never skip leg day again. Though my favorite move in the game might not work on everyone, it certainly is useful so when in doubt… kick it out! 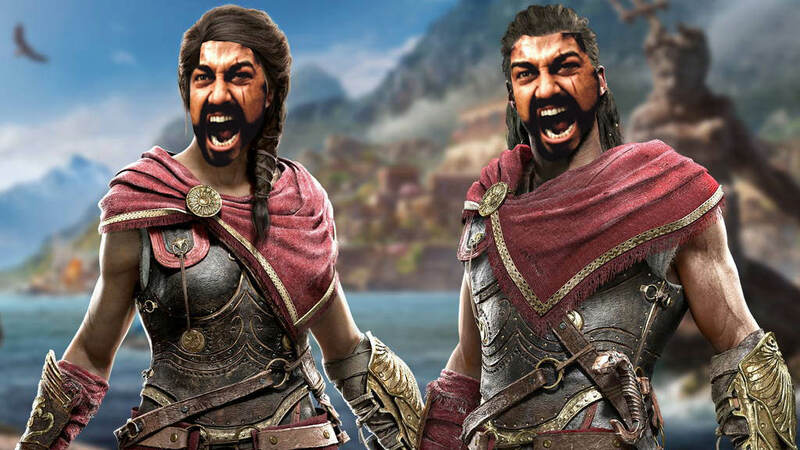 I give Assassin’s Creed Odyssey 8/10 Spartan Kicks. What did you think of the game? Did you find yourself Spartan-Kicking your way out of a tough situation? Let us know below, and for all of your future reviews, keep it locked to KSSU. Many college students tend to find various activities that take up valuable time they could be using for studying. They find distractions through music, movies, video games, or a laun dry list of other alternative activities. My personal study kryptonite is a fascinating little video game called Rocket League. To give you a better idea as to why this game has sucked so much of my time away (a whopping 109 hours according to Steam) let me explain just what Rocket League is. It’s a physics based soccer game where you play soccer with cars. Cars with rockets on them. With a ball that explodes when it crosses the goal line, sending all the players in the general vicinity flying in every direction. Take a look at these few gifs to get an idea of what I’m talking about. If that doesn’t at least get you a little interested I’m worried that we won’t be able to be friends. It’s basically what you would get if you asked a group of 6 year old boys at soccer practice what kind of soccer video game they’d like to play. And I mean that in the best of ways. Despite that, though, Rocket League was not created by a team of small children. It was created by Psyonix, a game development studio founded in 2000 that previously co-developed the popular PC game Unreal Tournament 2004 in 2004 and the aptly named Supersonic Acrobatic Rocket-Powered Battle-Cars in 2008. As the name might suggest, Rocket League is actually a sequel to Supersonic Acrobatic Rocket-Powered Battle-Cars, with the basic premise of the two games being essentially the same. At it’s core, Rocket League is a relatively simple game. You see the ball, you go towards the ball, you hit the ball in the direction you want to go. In that way it’s a pretty easy game to just pick up and have fun with. However, like most games, there is another layer of difficulty to it. All the awesome things in the gifs linked above are all done either through incredible luck or an above-average skill level. So although it is a relatively easy concept to grasp and therefore not entirely difficult to get familiar with, Rocket League can get to some insanely high levels of play. To get a feel for just how crazy it can get, watch this video from one of the best players to have virtually sat in the driver’s seat of Rocket League car, Kronovi. As someone who has played a lot of this game and is painfully average, let me say that most of that stuff in that video is insanely hard to consistently do. So if you’re a college student looking to waste some valuable study time or if you’re simply looking for a simple, fun game to dive in to, Rocket League is definitely a good choice. It might not be the most complicated game you will have ever played, but there’s a fair chance it will be one of the most interesting and most enjoyable games you have spent time with. I’m a little pessimistic about video games in general, not that I don’t enjoy them but I have a habit of losing interest after a few days. Titanfall is one of those games that makes me happy that I decided to take a chance. 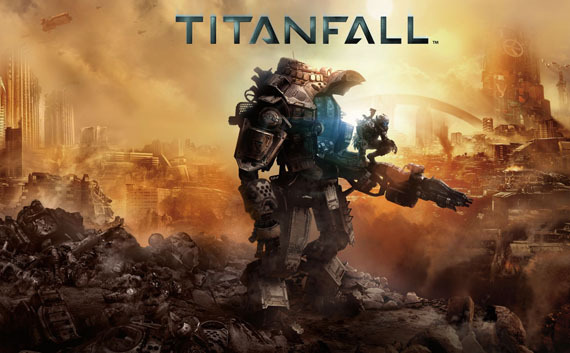 If you’ve been out of the loop Titanfall is a first person shooter where you pilot a giant Mech, but unlike Mech games of the past you are not just a Mech on the battlefield. You have the option to eject from your Giant Robot at any time and take to battle on foot. Now as you might imagine fighting outside of your mobile fortress can be risky. These things are roughly the size of a single story building, and can squash our pilots like they’re bugs. Our pilots are not completely defenseless though, each pilot just happens to know parkour( basically people who can run up walls) and move much faster then the titans on the battlefield. Not only are our pilots much more agile and capable of hiding in places the titans can’t reach they are also all equipped with some sort of anti-titan weapon, these generally fall into some form of projectile explosives. You don’t actually start off with your titan, but while you’re on the ground fighting your titan is being built, and will be ready after a set time. Of course you don’t actually need to use the titan, if you’d rather run around on foot the whole game you can compete just as well against the titans. They seem to have struck a really great balance between the two options. Each titan has an artificial intelligence built in, and with games of this caliber that may seem like nothing special. The cool thing is you can throw your titan in autopilot while you run around, you basically get the advantage of having a titan without have to actually play from inside of it. The AI is something that really blows me away in this game too. It’s your basic first person shooter, but our player characters are mixed in with npcs on both sides. The npc’s in this game are actually pretty good at maneuvering. With computer games, AI is something that tends to eat up a lot of resources, and i’m running this game with an xbox 360 so I doubt it’s something that would be capable of performing on this level natively. After playing enough games I’ve started to see patterns with most mobs in video games, the AI is simplistic to save on resources so they tend to aim straight for you, or maybe they might have a random pattern to make things slightly more difficult. I don’t get the same feeling from the mobs in Titanfall, I don’t know how they’re doing it but I can’t tell the difference between the players and the npcs in a lot of cases. Being from the Nintendo age I don’t really need the graphics to look great to enjoy a game, but the graphics in Titanfall may be my favourite part, it really blows me away. Not only are the graphics great but the game moves quick despite it, sometimes with great looking games you’ll find the mechanics of the game quite sluggish. Though with Titanfall you can really have it all. To be perfectly honest; with maybe an exception of the chicken leg Robots from Robocop 2, i’m not really a fan of the Giant Robot genre in science fiction. It isn’t a concept that grabs my attention or something I would normally go out of my way for. Titanfall is just so well made that the subject matter doesn’t really matter. 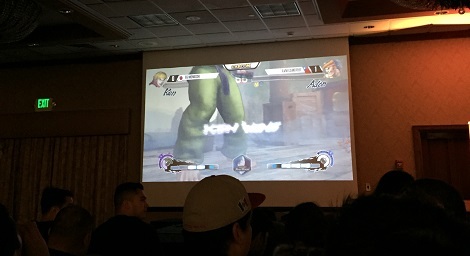 Just this past weekend, I had the privilege of attending NCR being hosted here in Sacramento. 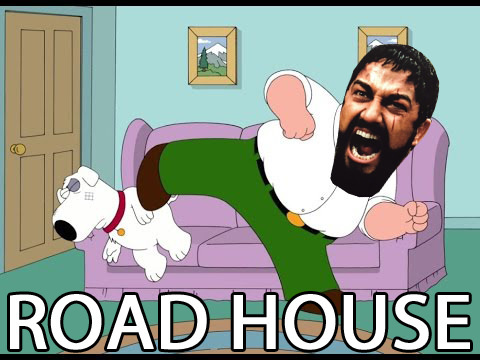 NCR is one of the premier stops of the Capcom Pro Tour (only for Ultra Street Fighter 4). Along with Ultimate Street Fighter 4, there were other tournaments going on for the following games: Ultimate Marvel vs. Capcom 3, and Super Smash Bros 4 (along with Melee). I was only familiar with Super Smash Bros, but after attending this event, I found myself wanting to pick up a copy of Ultra Street Fighter 4. It was heavily based on Street Fighter so I focused mainly on that for the time I spent at the tournament. 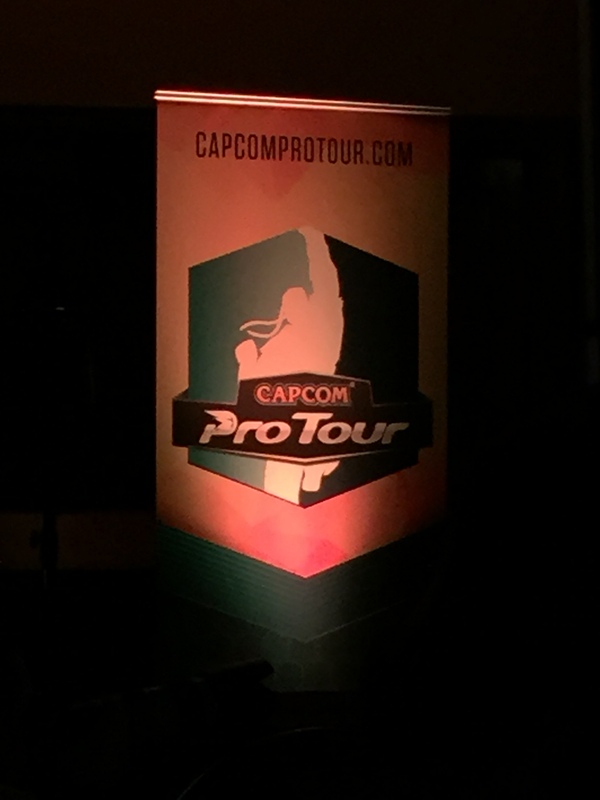 The winner of this event was rewarded $8,000 and a guaranteed spot on the Capcom Cup. On Saturday, I was able to attend thanks to my friend who clued me in to it. He was able to get me a spectator pass and I figured it’d be interesting to attend. When I got to the Holiday Inn, the room was packed with all kinds of TV monitors with players occupied with various fighting games on different consoles. It was amazing to see how big the fighting game community was and how dedicated everyone was to the various games being played. Twitch was streaming everything that was going on with the SSB (Super Smash Bros.) and Street Fighter tournament. I was only able to stay around for an hour or so, but the tournament still had one more day left for finals. Sunday was the big day for the event, finals. The game that was the center of attention was Ultra Street Fighter 4. As presented in the images above, we were watching the live stream while the players played on a smaller screen. 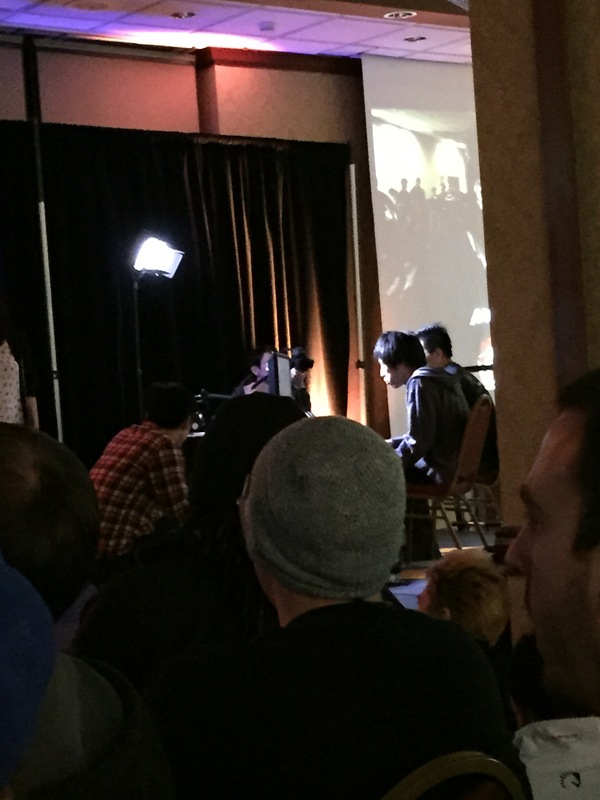 I mentioned earlier that Twitch was streaming the whole event online and had commentators on the side as well. Watching the players battle it out was intense and exhilarating. The different combos they unleashed on each other kept the crowd pumped. There were even people, with thunder sticks rooting for their favorite players. I had my friend explain the status of some of the contestants and from there, I was able to narrow down who to root for. Some of the games did drag out but there were games that were over in an instant. One player that amused me was Poongko. I was confused on why people were chanting, “TAKE OFF YOUR SHIRT”. But according to my friend, whenever Poongko is angry, he takes his shirt off in a serious situation… So what does Poongko do? He takes off his shirt of course. He didn’t make it too far in the tournament but nonetheless, he was a treat to watch. Another player that stood out to me went by the name of “BonChan“. He had the most exciting battles because his comebacks were great. There were multiple times where his health gauge was about to run out but he managed to push on and KO the opponent with little health. Along with BonChan, Daigo Umehara also stood out to me as well. His matches were fast and amazing to watch. I noticed he cornered his opponents a lot and unleashed relentless combos to triumph over them. Daigo Umehara has been involved in the Street Fighter scene since 1994 and even has his own manga after him. By the end of the night, Daigo Umehara took the title of being the NCR champion along with winning himself $8,000 and a spot in the Capcom Cup. Following him with 2nd place was Gamerbee from Taiwan and 3rd place with Nuckledu from America. Overall I’m glad I was able to attend would totally go again. I find myself being more of a Tekken and SSB fan but I now have a sparked interest in Street Fighter. 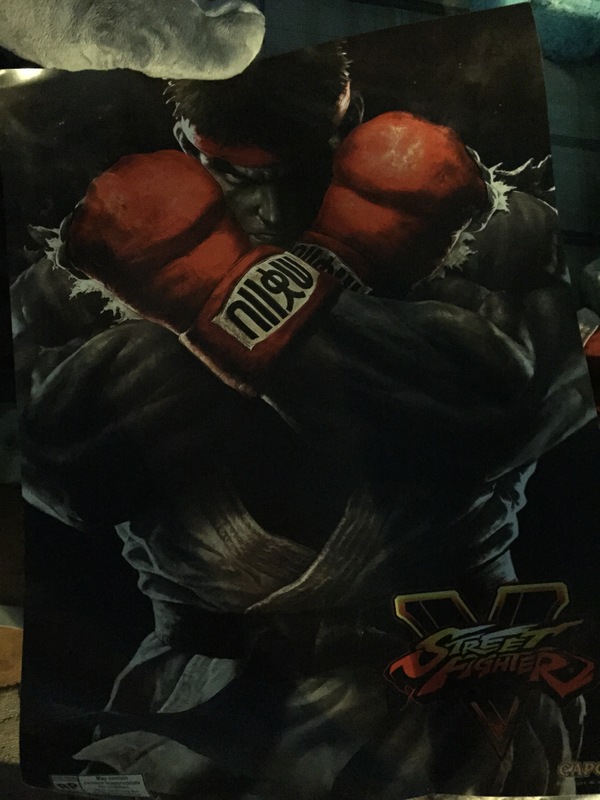 Also I got myself a free Street Fighter V poster which was awesome because who doesn’t love free stuff? Being exposed to the fighting game community really gave me motivation to actually be more involved in gaming. Who knows, maybe I’ll be able to pick up a copy of Street Fighter and get somewhat decent at it? Also, shout out to my friend Jerel for bringing me along to this event and inspiring me to try out Street Fighter! Yes. This is a post about Destiny, that game made by Bungie. I should also preface that this is being written by me, an active player who has dumped 659 hours into this game, and counting. But no, this isn’t some fan boy post about the game. Just my thoughts on the game. On September 9th, 2014, Bungie released their big game that followed the Halo series. The game itself was extremely hyped. They even had the prototypical fast food sponsorship that all hyped games have. But, how was the game…really? It is safe to say that after the initial reviews were done, and people were able to punch in five to ten hours into the game, they found themselves wondering what else is there to do. Why? The content was sparse. Leveling up to 20, the max level in the game now, takes about 6-8 hours for the dedicated player. After that, you could grind up gear to “light” level 30. But why? Players were introduced to the illustrious raids eventually. Vault of Glass being the first. It would have a Normal and Hard Mode. For the average player, the pace from launch of game to Vault of Glass may have been just right. Bungie released the first DLC, the Dark Below, in December. Again, it provided more content. But I’m not here to tell you exactly how the game changed. There are other articles out there that do a good job for that. As I sit here now, I have played Destiny for 6 months. How has the game faired? Is the hype dead? Are people done with the game? Yes and no. Depends on your definition. Per reports, there are still about 16 million people playing Destiny as of last month. But the complaints have been strong. 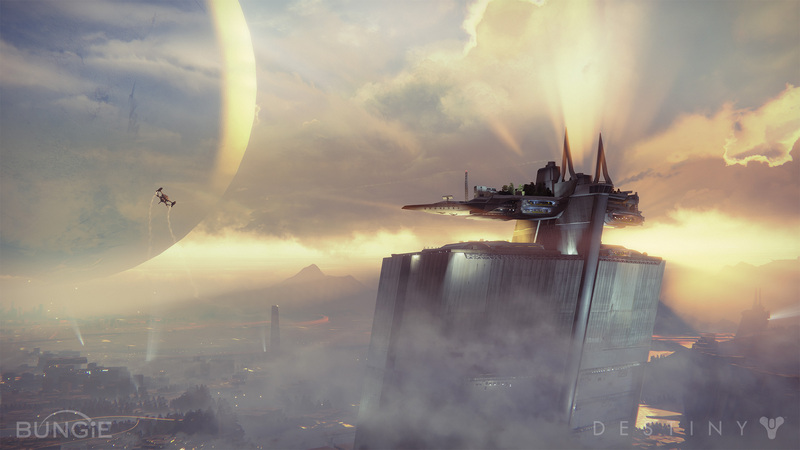 Destiny lacks a story per how most people are use to digesting it (I say this as Bungie coupled the game with grimoire cards – a system that tells various parts of the story of the Destiny universe). It also lacks content. Many have already begun taking a break and/or feel exhausted from the repetitious nature of the game. But still, people play. Why? Bungie released a game that plays exceptionally well. But some were confused if the game was a shooter, or an MMO. It is both but it is neither. Because Destiny is hard to explain, it is easy to tell why so many were attracted to the game, while some left. But me, as a person who loves grind-y, gear based games (i.e. Diablo, Borderlands, Skyrim, etc. ), I can honestly say that there is more that can be done, and should have been a thing by now, but it isn’t. Games like Destiny can always benefit from Community driven events (like Sparrow racing) to keep things fresh without doing too much else outside of the game. This problem will eventually be addressed by Bungie with future DLC’s and content releases. And one can only hope Bungie has learned a lot for Destiny 2. This isn’t to come off as I hate Destiny. I love this game. And that’s why I keep playing it. But in the conversation of bang for your buck, Destiny does fall short compared to similar games. But six months later, I still find myself loving this game, being wowed, and laughing like I did back in September. Sure, I have had to take a weekend off of Destiny every here and there, but I still play 3-5 days every week. Shout out to Bungie for an excellent game. For those finding difficulties going on, take a break. If you are absolutely done and don’t want to come back, then don’t. But I’m willing to bet that I will see many back for the House of Wolves expansion if they bought the Season Pass. And for those still playing, good luck to you Guardians. May the Traveler light your path. Find Josh, a.k.a. DJ Mappquest, every Thursday night on KSSU.com, 7-9 PM Pacific time, playing a wide variety of EDM. Also find him on XBox Live (XBone): Gamertag = Bossquest. Remember the movie Predator? With Arnold Schwarzenegger about an army troop being killed one by one by an alien hunter? Well, Evolve is a lot like that, except the humans are far more prepared and the alien is much bigger. Evolve is a cooperative/competitive shooter which pits four online players working together to battle a fifth player in a survival of the fittest type match. Although the odds may seem stacked in a 4 vs. 1 battle, that 5th player has a little advantage over the opposing four players that makes Evolve so intriguing: the 5th player is a huge alien monster. On Halloween, developers Turtle Rock decided to test Evolve‘s capabilities by allowing people to take part in a demo which they called the “Big Alpha”. For anyone who is unaware, there are these trial runs in the video game industries called ‘alphas’ and ‘betas’. Alphas are the first tests with the general public, testing a games software with a larger group of testers in order to see what improvements can be made before the official release of the game. Betas are the second tests of the game, usually taking place closer to the release date and with an even larger group of testers. I had the pleasure of taking part of Evolve‘s alpha, as I pre-ordered the game at GameStop. Going into the game, I kept my expectations low due to two reasons: this was an alpha trial, meaning the game was far from complete, and the entire premise of the game seemed to lead to a repetitive play style that would likely become boring after a few tries. After waiting around 20 minutes to enter the game lobby (a problem a shrugged off since this was an alpha), I was given one of the roles in the group of humans (called Hunters). The four roles are Assault, which is your big gun against the monster, the Trapper, which does exactly what its name suggests with harpoons and even a huge force field that traps the monster, the Medic, which is pretty straight forward once again, and the Support, which can be played as a protector of other hunters or a secondary assault. The 5th player has one choice of role: the Monster. The main representative of Evolve and your only choice of monster at the start of the game is called a Goliath, a large saurian-like creature. As you gain experience, you gain more choices of monsters, such as the Kraken. I was given the Trapper to start. Once the game began, the fun began. The monster is given a small head start to explore the large map. As the monster, you have 3 stages of evolution (thus the title of the game). During the first stage, the monster is somewhat weaker than the hunters, making it important to level up by feasting on wild life. As you evolve through each stage, you can upgrade your abilities like your fire breath. The goal of the monster is to either kill all the hunters, or destroy the power relay once you have reached stage 3. After a short intro scene, the hunters are airdropped into the map where the monster first started. The goal is simple for the hunters: kill the monster. Once the hunters land, they can follow the tracks left by the monster to hopefully find and kill it. However, the monster isn’t the only thing on the map that will kill you. Wildlife across the map will also be able to kill, some of which is even stronger than the monster. Overall, the hunt between humans and monsters creates a highly engaging game that will continue to create new challenges with each battle. Turtle Rock has also yet to announce the other game modes and a 3rd monster to fight with. Although I enjoyed the game and its concept, I do hope that the servers are fixed in order to make for a much smoother lobby. If not for this, I would have played close to hundred matches during the alpha instead of the approximate dozen instead. Evolve is set to release on Xbox One, PS4, and PC on February 10th, 2015. Listen to ALBYSURE every time on a specific Day on KSSU.